As a busy mom of 5, I try to keep ingredient lists short for dinner time. 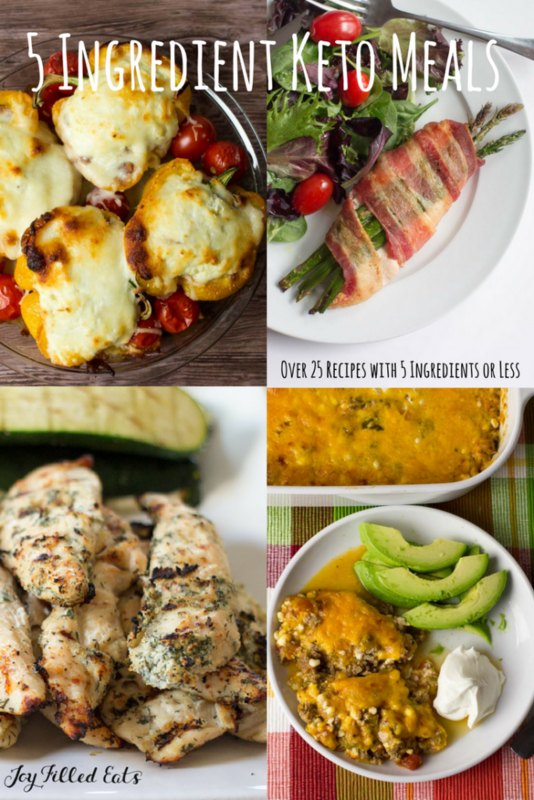 Many of these Easy Keto Meals with 5 Ingredients or less are staples in my house. 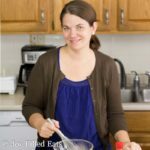 If you are looking for recipes for some easy keto dinners or an easy keto lunch this is a great place to start! 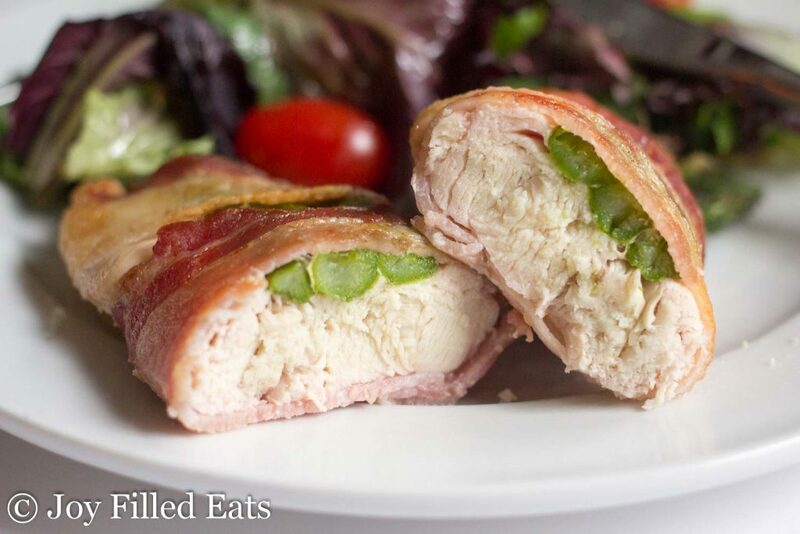 Stuffed Chicken with Asparagus & Bacon: My Stuffed Chicken with Asparagus & Bacon has only 3 ingredients and a 5-minute preparation but it will impress your dinner company time after time. Out of all these easy keto dinners this may be my favorite. You can’t beat 3 ingredients! Basil Stuffed Chicken Breasts by Step Away From the Carbs: This low carb basil stuffed chicken recipe is super easy to make and adds loads of flavor. Perfect for an easy midweek entree! 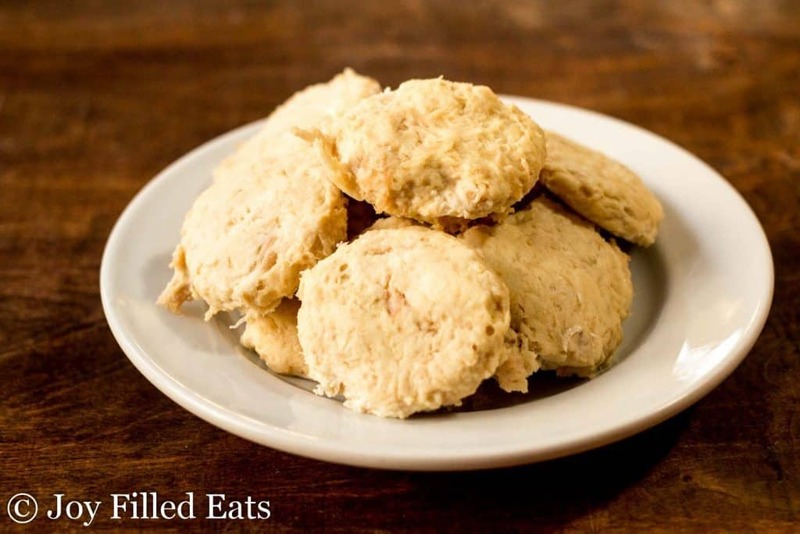 5 Minute Low Carb Chicken Nuggets: My Low Carb Chicken Nuggets have only 5 ingredients and take about 5 minutes to prepare. They freeze well, travel well, and taste delicious! 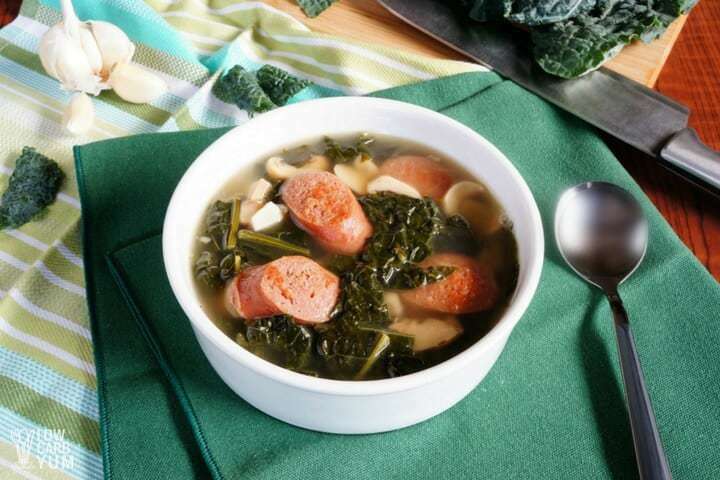 Sausage Kale Soup with Mushroom by Low Carb Yum: Only 5 ingredients (excluding salt and pepper) for this easy one pot meal! White Lasagna Stuffed Peppers: These White Lasagna Stuffed Peppers take an easy dinner staple to a whole new level. 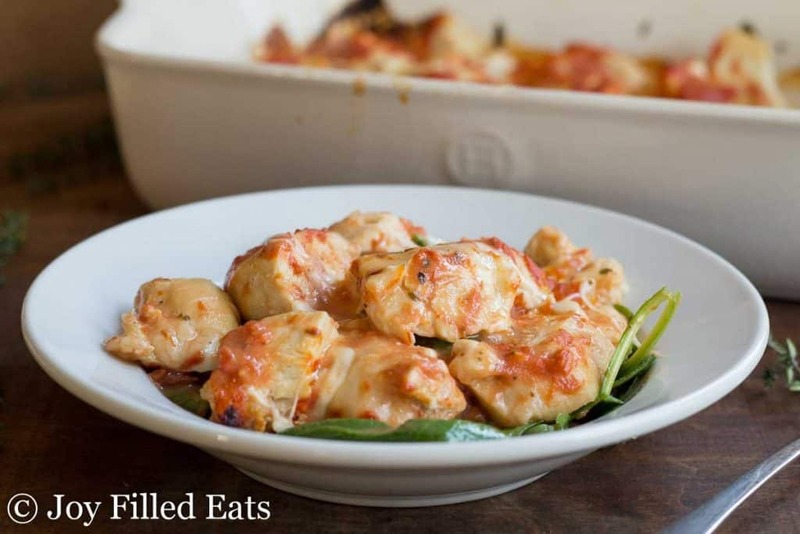 With only 5 ingredients and a very simple preparation, they are a great easy keto meal for a busy night. 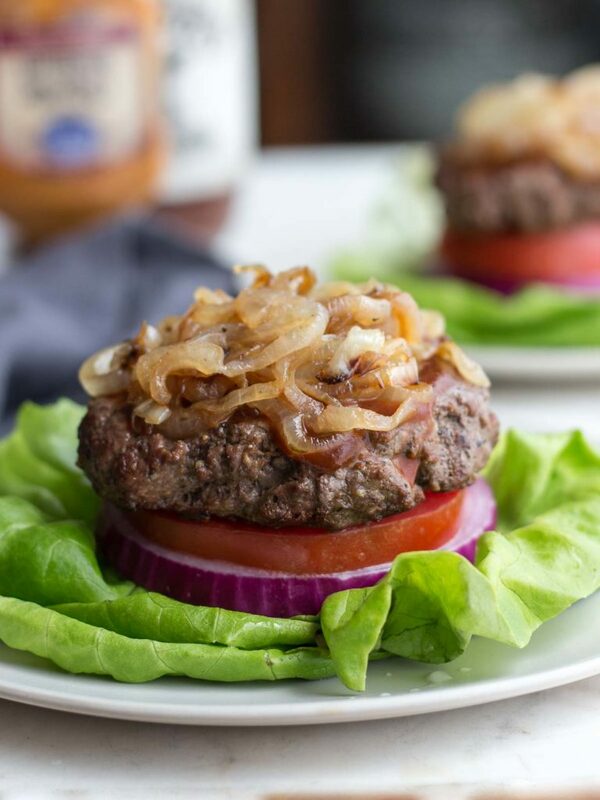 Low Carb Steakhouse Burger by Low Carb Maven: Best tasting burger recipe you will ever make! I bet your friends will ask you for the recipe. Creamy Basil Baked Sausage: If you are looking for an easy dinner idea my Creamy Basil Baked Sausage should be on the menu. With only five ingredients and a five minute prep time, it is perfect when you are crunched for time. 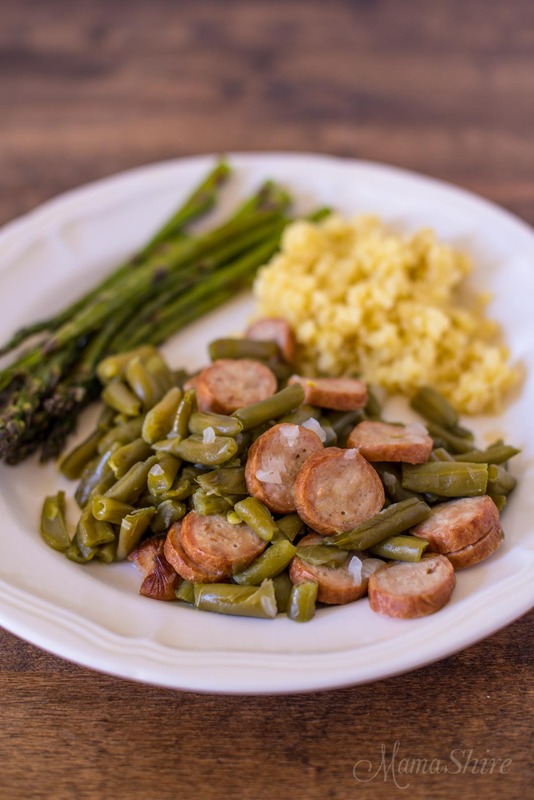 Low Carb Pork Medallions by That’s Low Carb: These Low Carb Pork Medallions are crazy easy to make with just three ingredients and the flavor is excellent! Easy Mozzarella & Pesto Chicken Casserole: This Easy Mozzarella & Pesto Chicken Casserole has only 5 ingredients and mixes up in 5 minutes. It is a great weeknight dinner. I used chicken I had cooked, cubed, and frozen and no one could even tell. Spinach and Bacon Salad by Nana’s Little Kitchen: This BLT in a bowl has been enjoyed at potlucks for over 40 years and I have been asked for the recipe many times. All of the ingredients can be prepared ahead and should be mixed together when you’re ready to serve it. Easy Taco Casserole: Tacos are one of our dinner staples in this house. Another dinner staple is a good ole casserole. 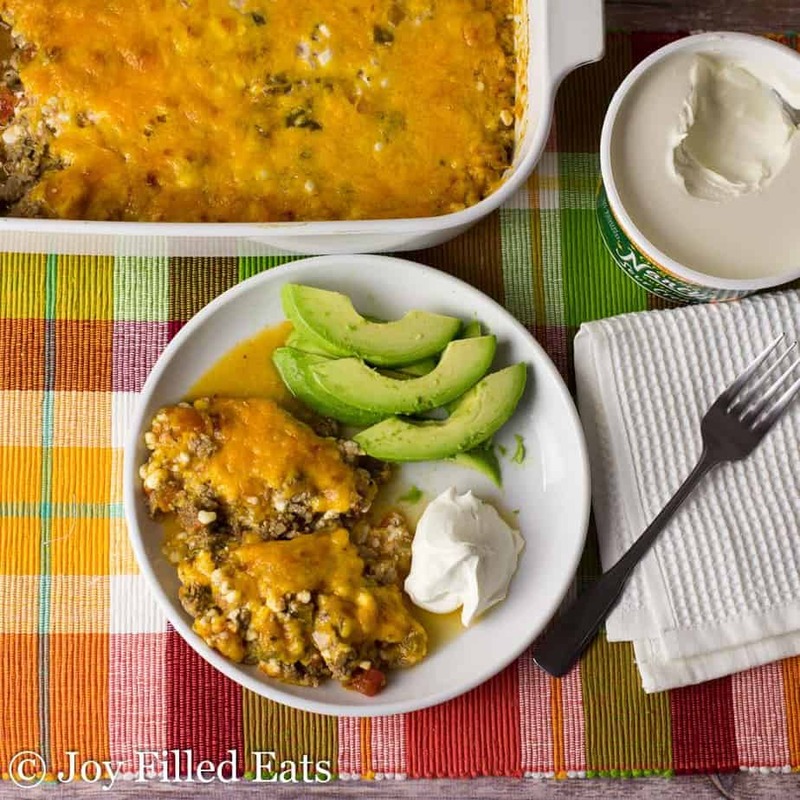 I wanted to make a super easy, healthy casserole combining our two loves. This Easy Taco Casserole Recipe really hit the spot. 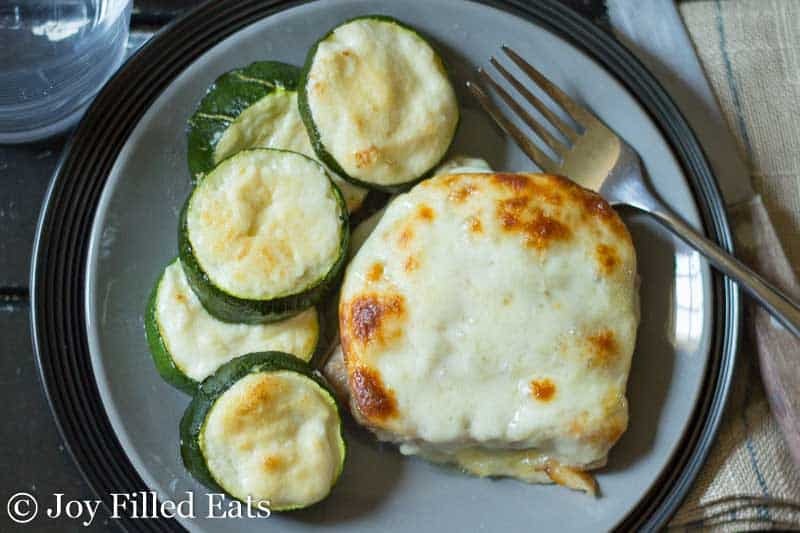 With only 5 ingredients and a 5 minute prep time, it is an easy keto dinner lifesaver on busy weeknights. Parmesan Chicken Tenders by Briana Thomas: These Parmesan Chicken Tenders only take a few simple ingredients. Kids love ’em! 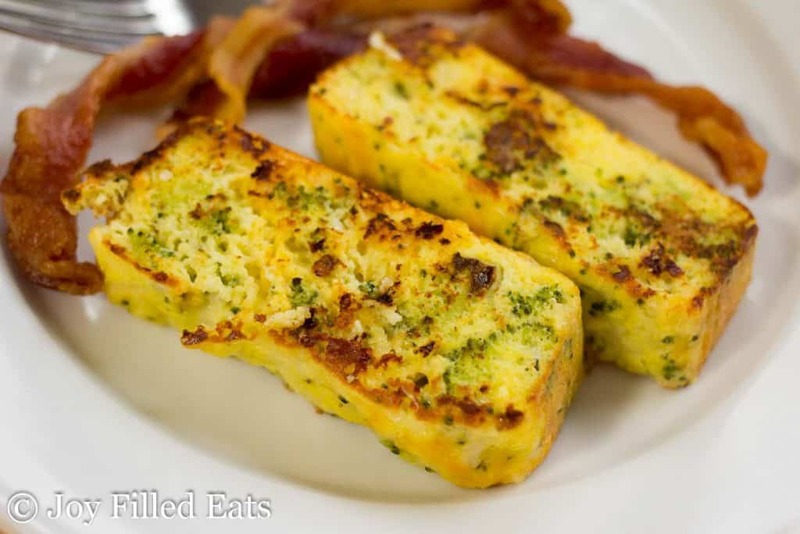 Broccoli & Cheddar Keto Bread: This Broccoli & Cheddar Keto Bread Recipe is a great breakfast, lunch, side dish, or snack. It mixes up in 5 minutes and has only 5 ingredients plus salt. It is nut free, grain free, gluten-free, and a THM S. It also reheats well on busy mornings. 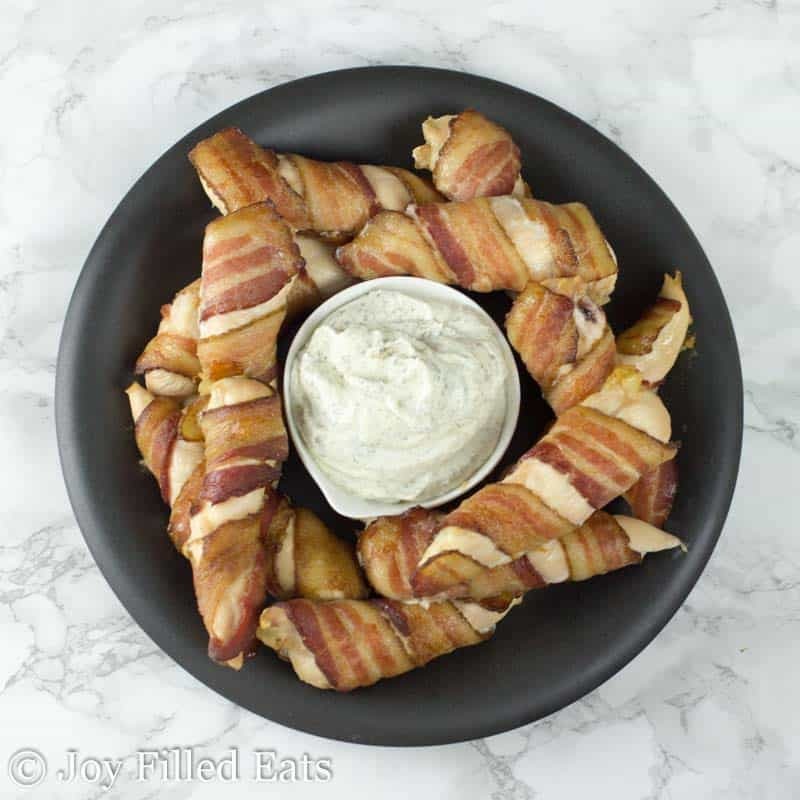 Bacon Wrap Chicken Tenders with Ranch Dip: This is one of my favorite easy keto meals. 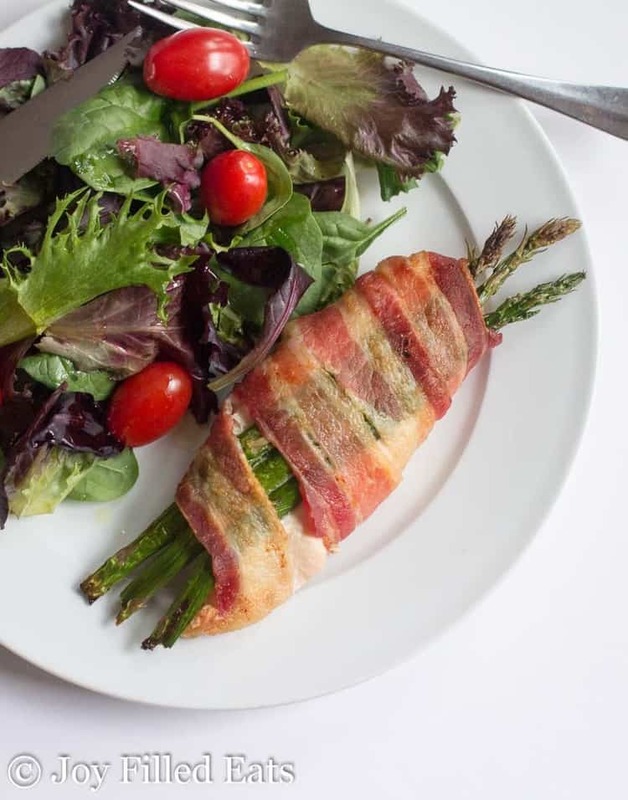 The main part of it, the bacon wrapped chicken tenders, have just two ingredients. They take less than 5 minutes to prep and making the dip also takes less than 5 minutes. 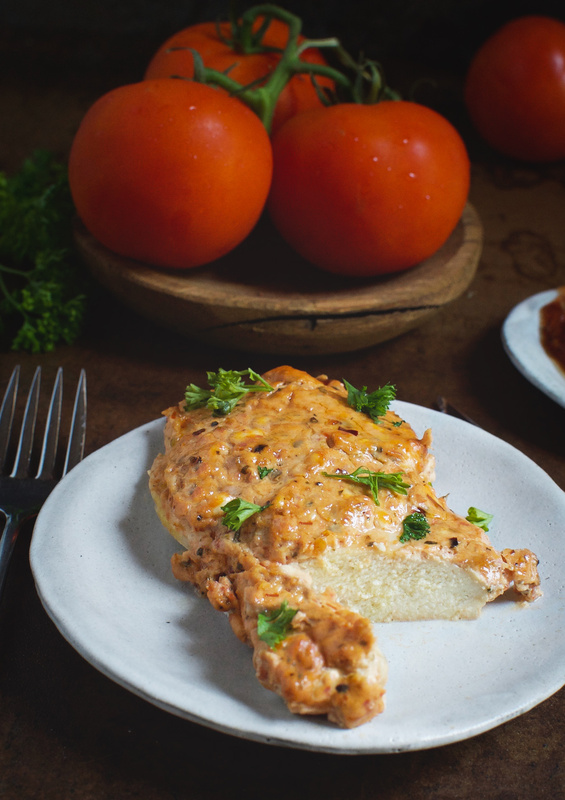 Chicken al Forno with Vodka Sauce & Fresh Mozzarella: Chicken al Forno with Vodka Sauce & Fresh Mozzarella has only 5 ingredients and a 5 minute prep time. And can be on the table in about thirty minutes. Can’t beat that! 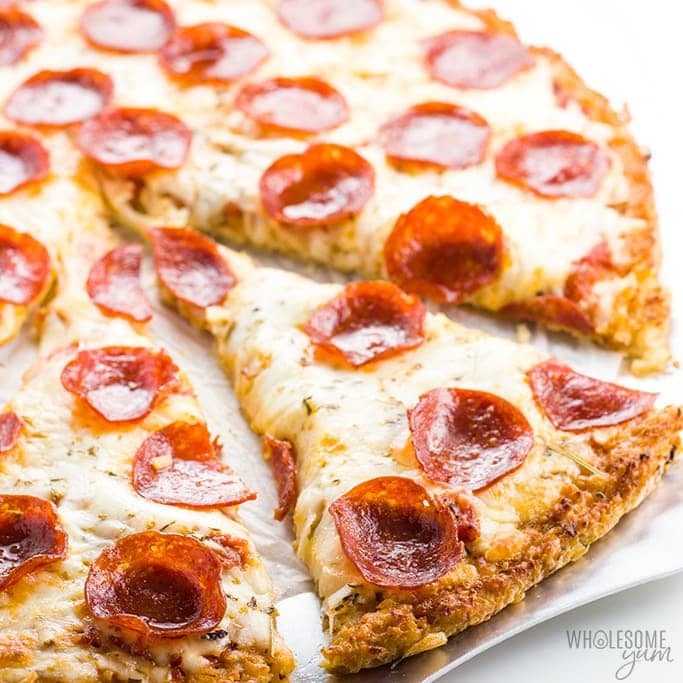 Easy Low Carb Cauliflower Pizza Crust by Wholesome Yum: An easy low carb cauliflower pizza crust made with just 3 ingredients will make you look forward to pizza night. Stuffed Pork Chops: Stuffed pork chops with only 5 ingredients and a 5 minute prep time that taste delicious? You’ve come to the right place! These garlic rubbed pork chops stuffed with spinach and provolone were a winner with my family. Super Easy Spicy Baked Chicken by Simply So Healthy: This recipe for spicy baked chicken is so simple, but still delicious! So family friendly! Lemon Parmesan Broccoli Soup: What does a girl do when her Costco sized bag of fresh broccoli half freezes in the fridge? 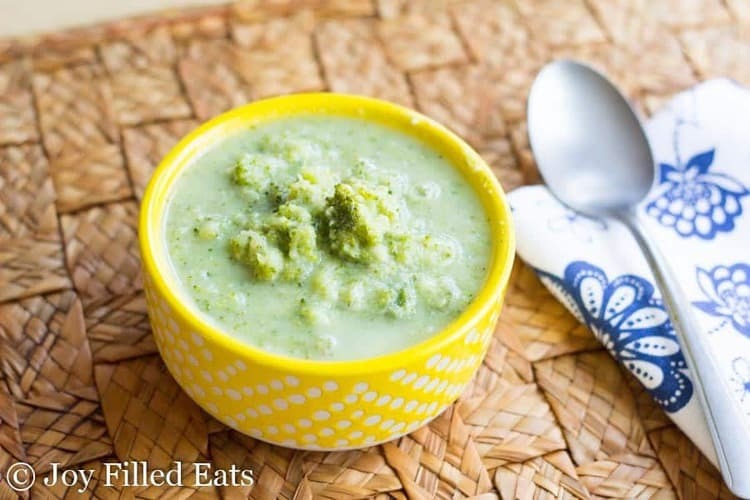 Make broccoli soup! This came out so well that I needed to share it with you. My Lemon Parmesan Broccoli Soup is light but filling with the vibrant flavor of lemon and the saltiness of the parmesan cheese. 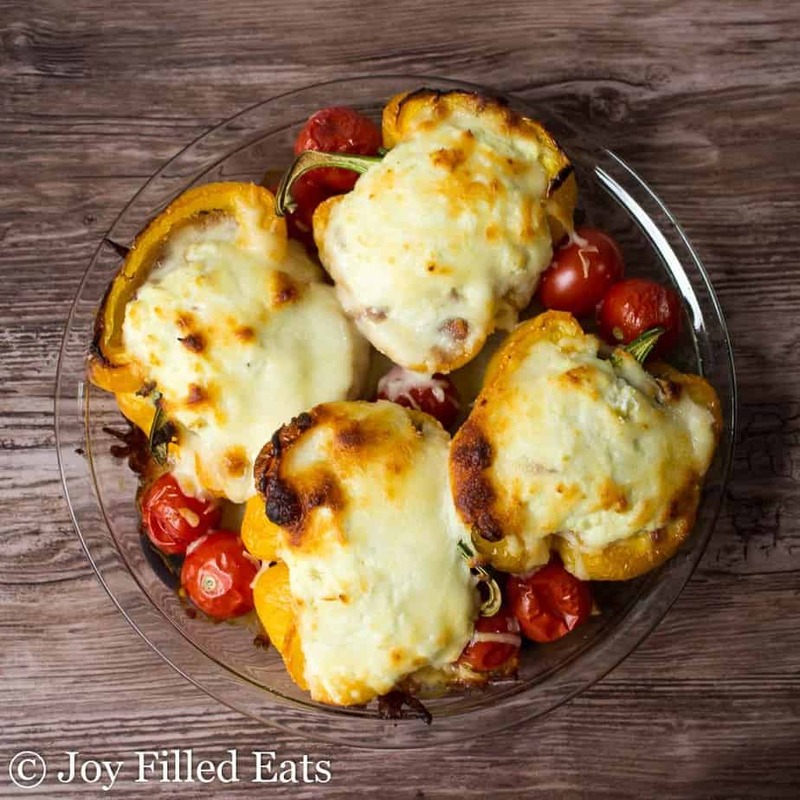 Meat Lover Pizza Cups by Northern Nester: These Meat-Lover Pizza Cups are essentially the very best parts of a pizza scraped off into a tasty little low-carb bowl! 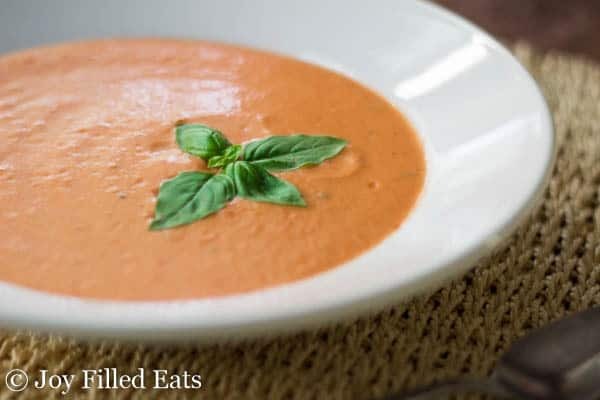 A fast and easy THM S.
Fresh Tomato Basil Soup: This beautiful creamy Tomato Basil Soup uses garden fresh tomatoes and only four other ingredients. The taste is restaurant quality but it is as easy as using a blender. 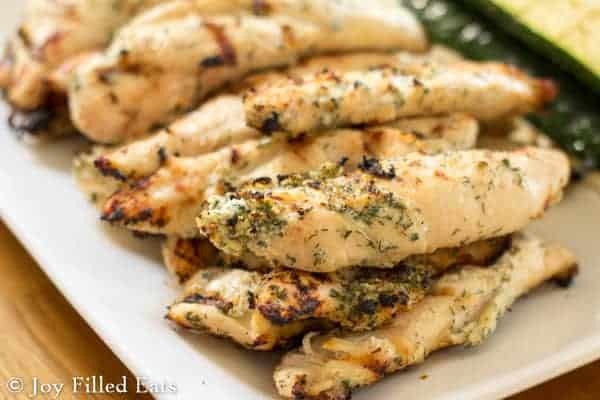 Ranch Yogurt Marinade for Grilled Chicken: This is one of our favorite marinades for grilled chicken. My Ranch Yogurt Marinade has only 5 ingredients and gives the chicken a ton of flavor. 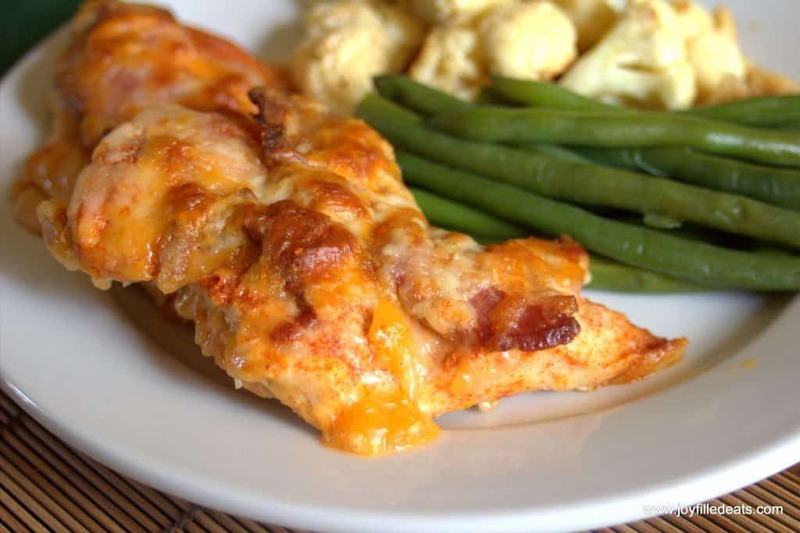 Easy Cheesy Bacon Chicken: Bacon smells like Heaven. I love the smell of it wafting through the house. I’ve made this Cheesy Bacon Chicken twice for company in the last month to rave reviews so I thought I should share the love. With only 5 ingredients and a 5-minute preparation, you will feel the bacon love in no time! 5 Minute 5 Ingredient Baked Pesto Chicken: Pesto sauce is one of my favorite condiments. 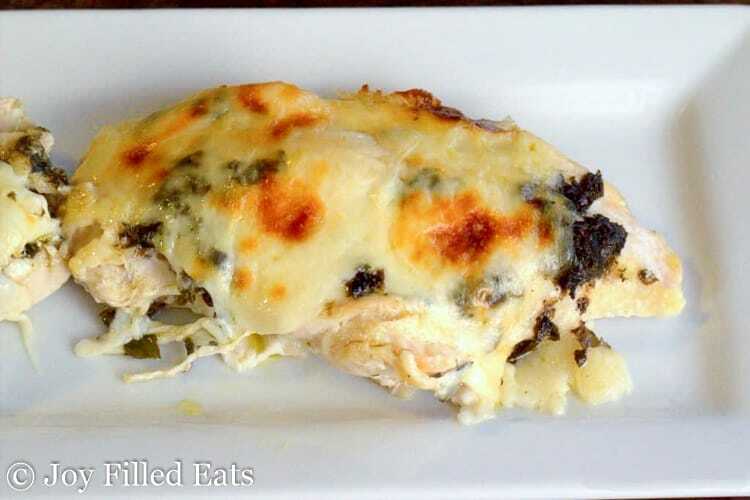 It is perfect for quick meals like my 5 Minute 5 Ingredient Baked Pesto Chicken. Pesto packs a lot of flavor in a small package. At the end of the summer I’ll make a batch but normally I just buy it. 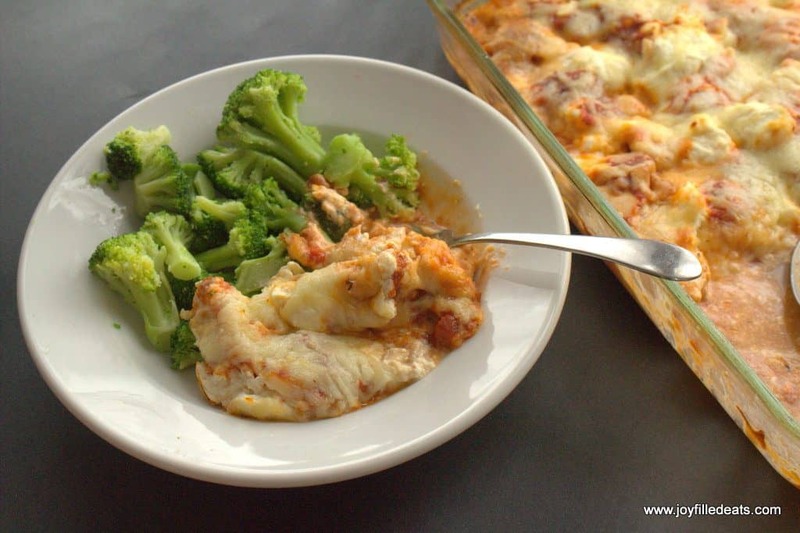 Pizza Chicken Casserole: I know you are thinking, “What is pizza chicken? Who puts chicken on pizza?” But… pizza chicken is what my kids call chicken parmesan. 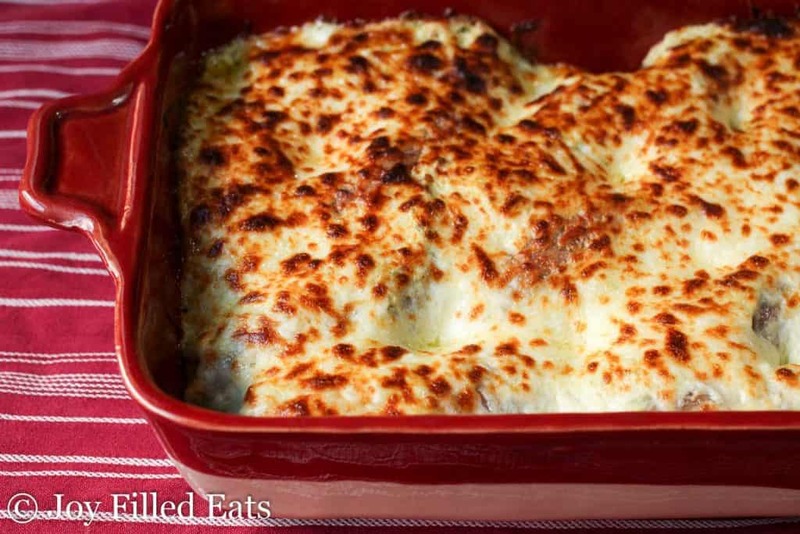 This combines the flavors of creamy casseroles with the flavors of chicken parmesan. It is one of our favorite easy dinners. Give my Pizza Chicken Casserole a try. I’m sure your family will love it too! Make sure to come back and let me know which Easy Keto Meals with 5 Ingredients or less is your favorite! As a busy mom of 5, I try to keep ingredient lists short for dinner time. 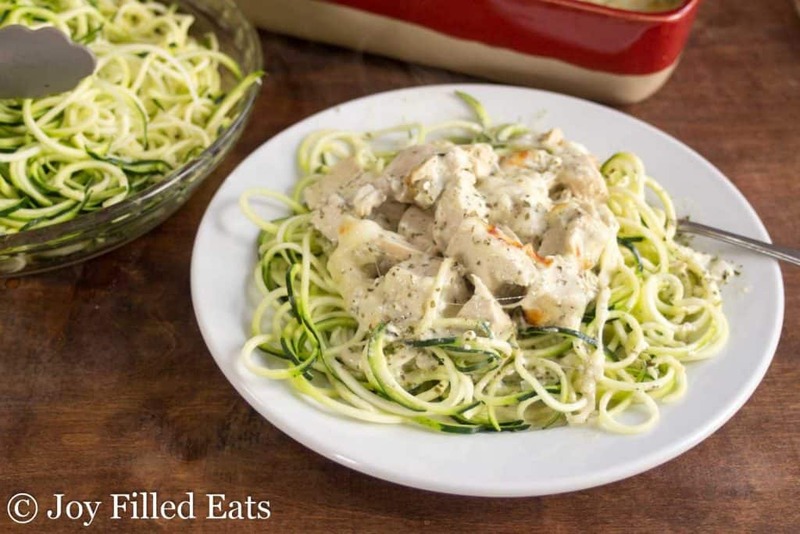 Many of these Easy Keto Meals with 5 Ingredients or less are staples in my house. Absolutely love your recipes, thank you so much for being kind enough to share them. Thank you so much for these! Been looking for easy keto recipes that i can throw together after work, yet still keep the comfort-food feel. Can't wait to try them, and maybe fool my husband into thinking he's not on a diet! I have been on Atkins many times and always gain back. I’m switching to Leto but need recipes that are not all protein. Help! !